Huntsville Vegans will host two events this weekend, February 25th and 26th. 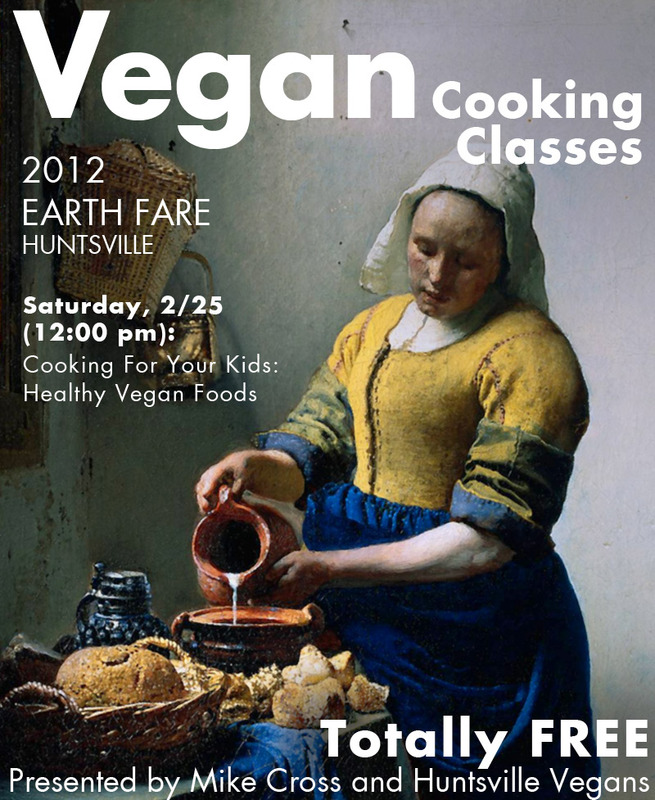 On Saturday, February 25th, Mike Cross and Huntsville Vegans present a vegan cooking class at Earth Fare at Noon. This class will cover how to cook healthy food for kids. Everyone who attends will receive free samples and recipes. We’ll also have coloring sheets and storytime for any children who attend. On Sunday, February 26th at 2pm, Jeff will speak to us about Vegan Outreach. This event will take place at Lucy’s house in Madison. 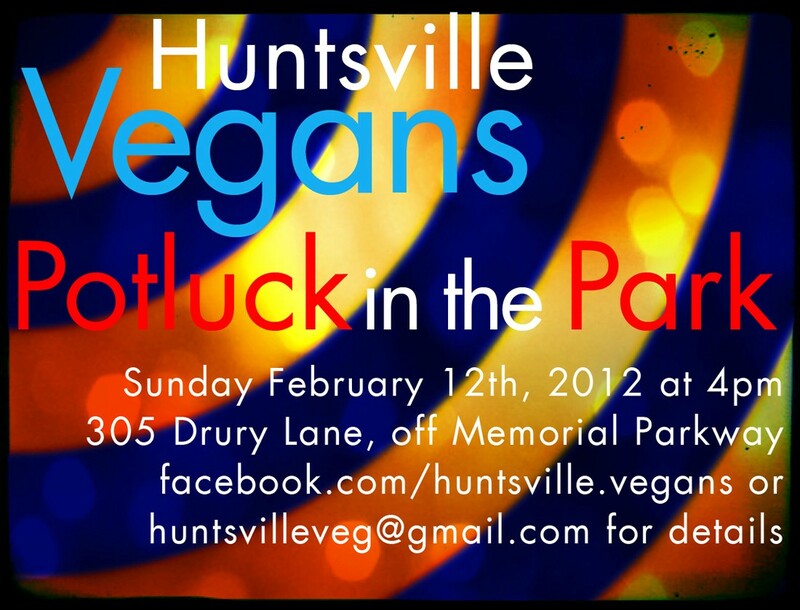 Please email us at huntsvilleveg@gmail.com for the address. After the talk, we will take Jeff out to eat at Charm Thai. 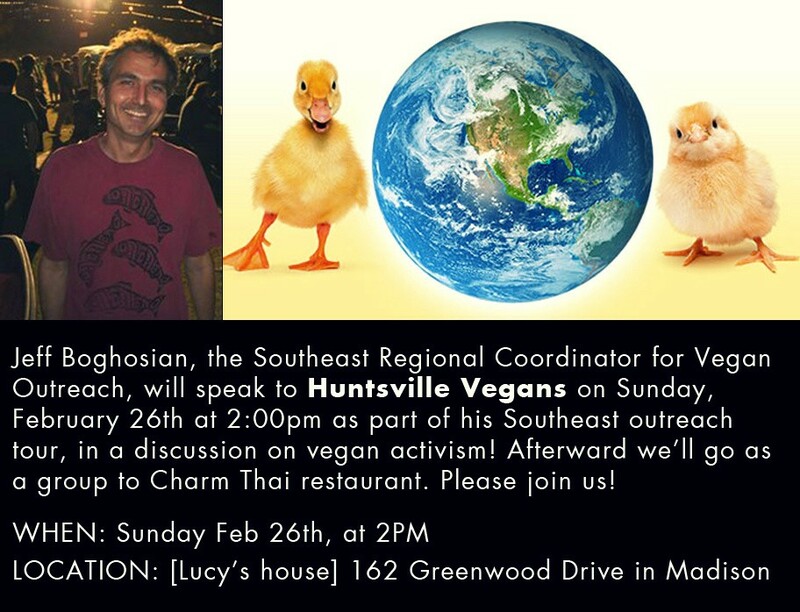 Please join us to learn more about vegan outreach and to welcome Jeff to the south! To learn more about these and other events, please visit us on Facebook and Meetup. Our February potluck was a great evening full of food and fun! Dishes included yakisoba, kale, and many varieties of sushi. Our potlucks are free and open to the public. In March, our potluck theme is Breakfast Around the World. Friend us on Facebook or Meetup to find out more information! Join us for our February potluck! This month’s theme is Japanese food. Please bring a vegan dish to share with 8 – 10 people.